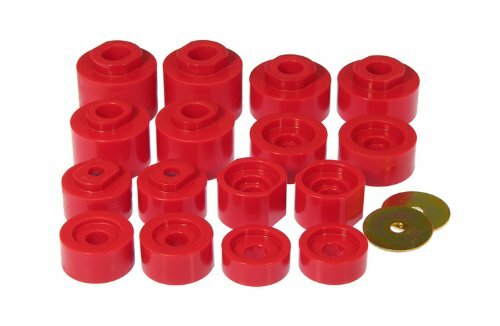 The 6-116 is a polyurethane bushing replacement for the Body Mount bushings and Radiator Core Support bushings on 2001-2005 Ford Explorer Sport Trac, both 2 and 4 wheel drive. Prothane's polyurethane body mount bushings are designed to replace the soft factory rubber bushings on the Sport Trac model only, not the Base or the Sport models. View More In Body Bushings. If you have any questions about this product by Prothane, contact us by completing and submitting the form below. If you are looking for a specif part number, please include it with your message.